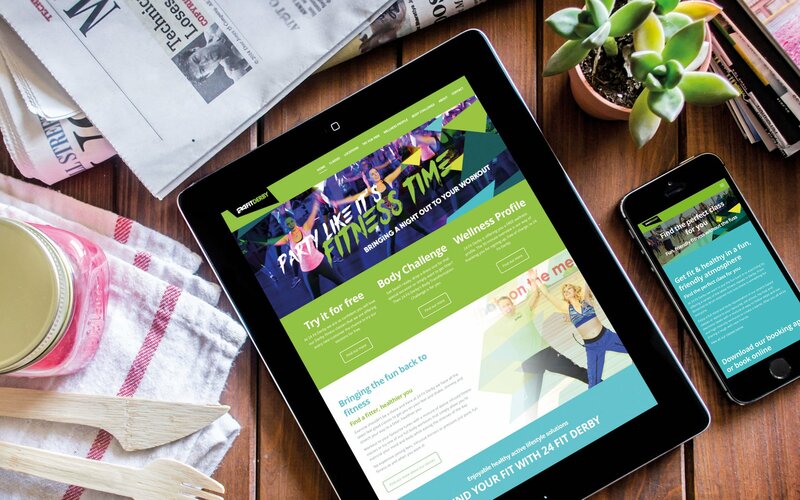 24 Fit Derby approached us for a full rebrand and responsive website to launch their new courses and let the people of Derby know what they had to offer. 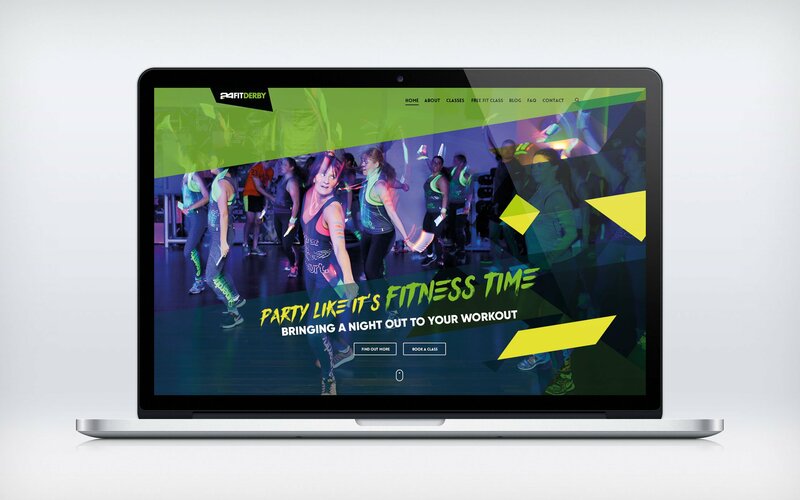 During the brand discovery process, it became apparent that their core offering was a range of party style, dance fitness classes ranging from Zumba and Bokwa to the brand new Clubbercise. 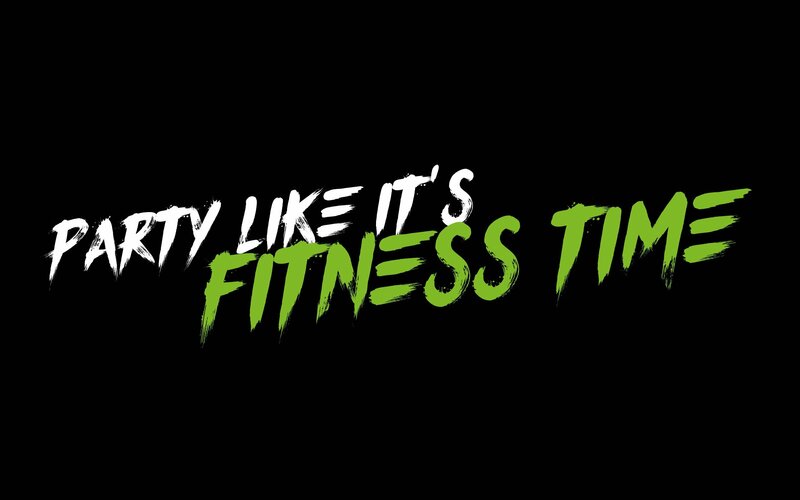 The concept of bringing a night out to your workout set the tone of voice and appealed directly to the target market. 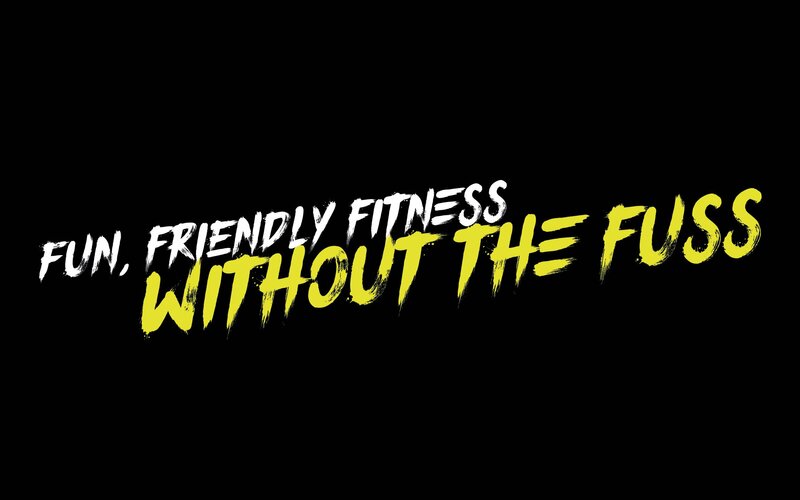 Fun, friendly fitness without the pressure was the core message that we had to convey, along with ensuring the visual style was approachable and inclusive to not alienate real women. 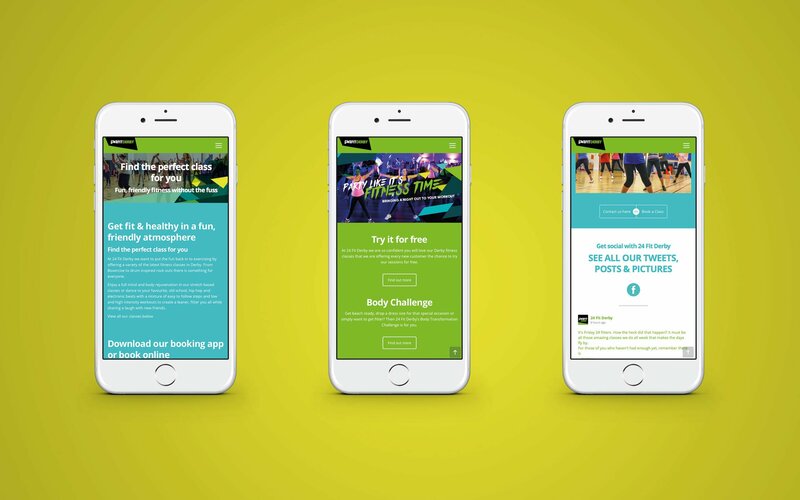 The launch campaign was driven out over digital and printed media with an emphasis on signing up for a free class and experiencing what 24 Fit Derby has to offer. 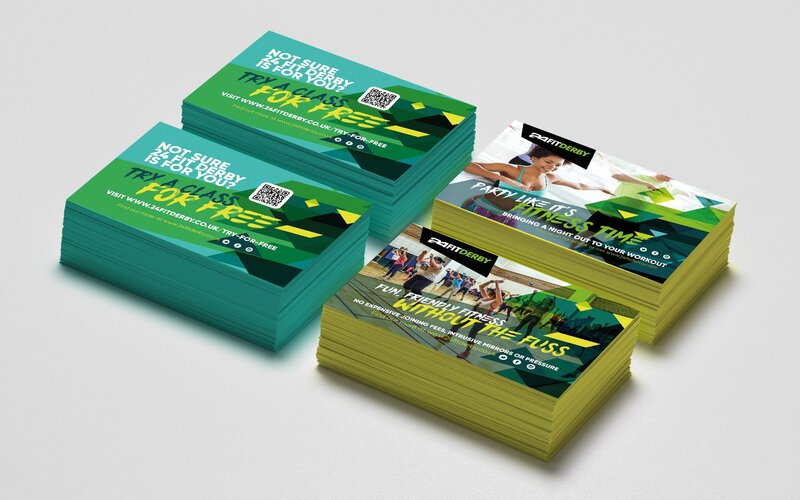 24 Fit Derby are going from strength to strength and we continue to support them with ongoing campaigns and advice. If you would like to receive a friendly email every couple of months about branding, design and business, get in touch with your name and email address.